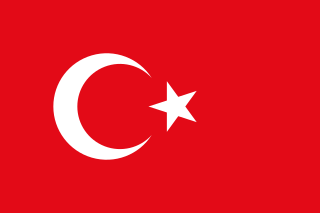 As of 2016, Turkey is the world's largest producer of hazelnuts, cherries, figs, apricots, and pomegranates; the second-largest producer of quinces and watermelons; the third-largest producer of cucumbers, green peppers, lentils and pistachios; the fourth-largest producer of apples, tomatoes, eggplants, and olives; the fifth-largest producer of tea, chickpeas and sugar beet; the sixth-largest producer of almonds and onions; the seventh-largest producer of lemons, grapefruit, and cotton; and the eighth-largest producer of barley. Turkey has been[when?] self-sufficient in food production since the 1980s. In the year 1989, the total production of wheat was 16.2 million tonnes, and barley 3.44 million tonnes. The agricultural output has been growing at a respectable rate. [clarification needed] However, since the 1980s, agriculture has been in a state of decline in terms of its share in the total economy. Turkish agriculture emits greenhouse gases and suffers from climate change in Turkey. In 2013 there were ninety-eight airports in Turkey, including 22 international airports. As of 2015[update], Istanbul Atatürk Airport is the 11th busiest airport in the world, serving 31,833,324 passengers between January and July 2014, according to Airports Council International. The new (third) international airport of Istanbul is planned to be the largest airport in the world, with a capacity to serve 150 million passengers per annum. Turkish Airlines, flag carrier of Turkey since 1933, was selected by Skytrax as Europe's best airline for five consecutive years from 2011 and 2015. With 435 destinations (51 domestic and 384 international) in 126 countries worldwide, Turkish Airlines is the largest carrier in the world by number of countries served as of 2016[update]. The country's wealth is mainly concentrated in the northwest and west, while the east and southeast suffer from poverty, lower economic production and higher levels of unemployment. 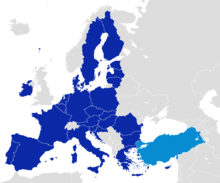 However, in line with the continuous economic growth in Turkey during the recent decade,[when?] parts of Anatolia began reaching a higher economic standard. These cities are known as the Anatolian Tigers. The CIVETS are six favored emerging markets countries – Colombia, Indonesia, Vietnam, Egypt, Turkey and South Africa. These countries are favored for several reasons, such as "a diverse and dynamic economy" and "a young, growing population". This list is comparable to the Next Eleven, devised by Jim O'Neill of Goldman Sachs.